No matter how well you know New York, it always seems like the city is concealing yet another layer. For Michelle Young, a native New Yorker, the desire to dig deeper became too great to ignore. 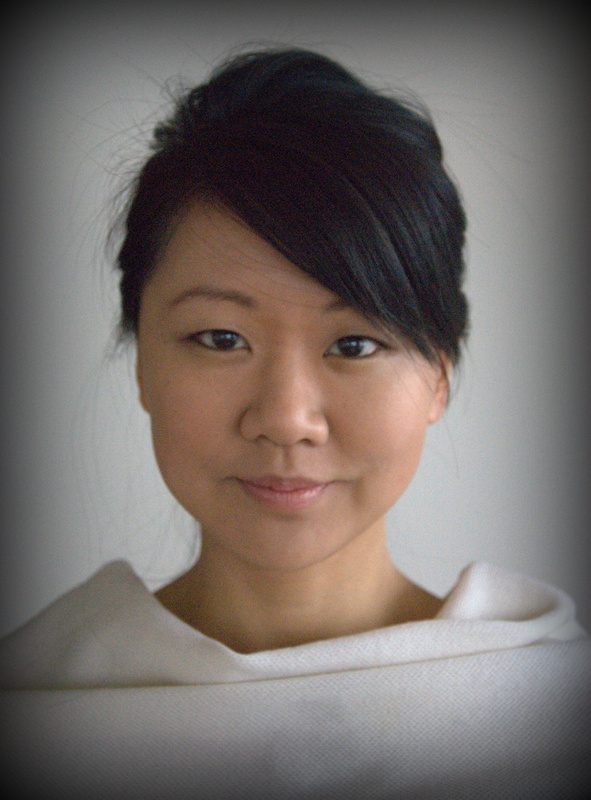 In 2009 she founded Untapped Cities, a website dedicated to architecture, design and the secret lives of cities. Begun as a New York project, the site has now expanded around the world, with a growing lineup of unique tours and events right here in Gotham. Thought Gallery interviewed Young about the unique access Untapped Cities provides and how it helps New Yorkers get beneath the surface of their city. 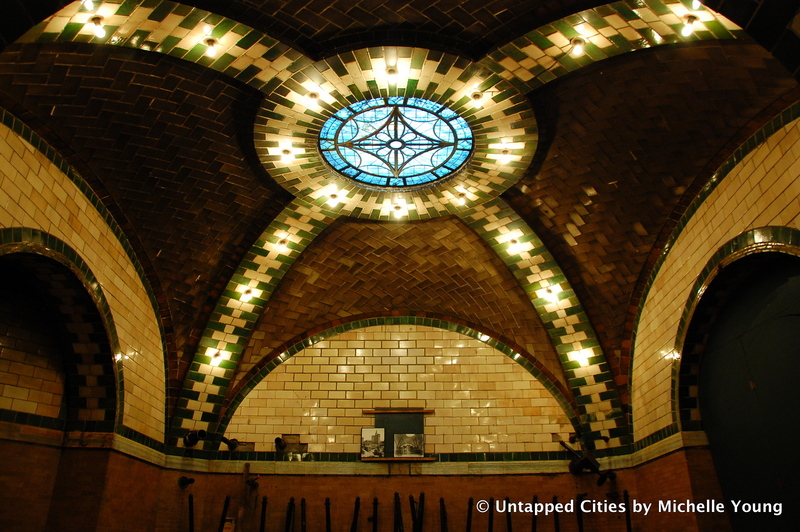 Thought Gallery: How does Untapped Cities fit into the cultural landscape of New York City? What do you feel it adds? Michelle Young: The core message of Untapped Cities is about rediscovering your city. We seek to unearth New York City’s most unique and surprising places, stories and events from an urbanist, design and architectural perspective. It’s a website for New Yorkers who want to see a different side to the city, whether it’s inaccessible, unnoticed or just forgotten, and our events series bring readers into the places we cover. More importantly however, it’s a community that grew organically from the ground up. Even though I wrote the first articles, very quickly people were writing in saying they wanted to share about their discoveries too. Today that network is over 500 strong, discovering things daily. Finally, we’re very selective about the places we write about and the tours we offer. In the office, we say that if a topic doesn’t make us go “WHAT?! ?” we shouldn’t write about it. In a city of so much choice, we aim to curate only the most “untapped” things for our readers and tour-goers. TG: What led you to founding Untapped Cities? Did you feel there was a layer of urban life that was under-represented? MY: I spent years working as a merchandiser in the fashion industry, going from my home to office, never seeing anything new. As I prepared to go back to graduate school for urban planning at Columbia University, where I’m a professor of architecture today, I started researching a side of New York City that was hidden, bringing friends on excursions to the old City Hall subway station or to a tour of Fresh Kills landfill. I wanted to showcase a side of the city that wasn’t about lamenting what was lost, but celebrating what makes the city so vibrant. Uncovering the secret layers of urban life shows people a side they might miss in their everyday environment. The longer we’ve been doing this, the more kindred explorer spirits we’ve met along the way, and we’ve been proud to be one of the groups creating a community around making parts of the city more visible. TG: Your upcoming tour of the Woolworth Building exemplifies the kind of access you provide to things that are usually off-limits. What’s your favorite “secret” location in NYC? 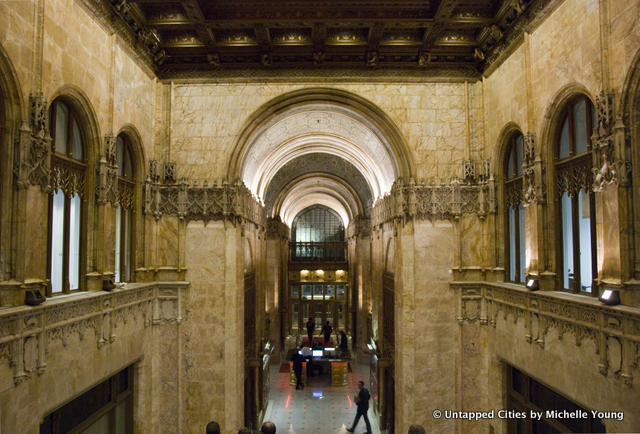 MY: The Woolworth Building Tour is something we offer exclusively through Untapped Cities—because unlike other tours of the building, we take you down through the three sub-levels of the massive basement. For infrastructure, architecture and skyscraper buffs, this is a real treat because you’re really off-limits in a building that’s already off-limits to the public. Then we have our Behind the Scenes NYC Series with the NYC Economic Development Corporation to take readers into sites that are in development with the experts involved, like the Brooklyn Kings Theatre, Hunts Point Produce Terminal, Brooklyn Army Terminal and more. But my favorite secret location is a spot underneath one of the city’s bridges where I attended a big, unofficial party once. With impeccable coordination, 200 of us climbed down through a hatch in the midst of a busy area of New York City and entered a station that was built but never used. Lines of what would have become tracks became places to run around and explore. And there were performances and a dance party. I wrote about it as one of the Top 12 Secrets of the NYC Subway. TG: Do you ever feel like you’re running out of secrets and nooks, or is the city’s capacity bottomless? MY: When I first started Untapped Cities, sometimes I’d look down at my current list of spots to hit up in my notebook and wonder if I’d run out. But six years later, we still have a huge ongoing list. The capacity is bottomless because of the people here in the city. They’re always coming up with creative new things—maybe it’s an amazing street art piece, or a pop-up venture, or a new business. And the government has a lot of great initiatives too, adding to a very vibrant civic culture. New York City isn’t static, and that’s what fuels what we do at Untapped Cities. 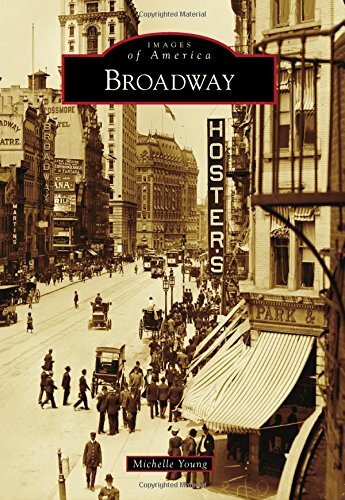 TG: You’ll be giving an illustrated lecture at the NYPL on your new book on Broadway. What were you most surprised to learn about the street when you were writing? MY: The most surprising thing was just noting, in a systematic way, how many buildings we’ve lost. Demolition and rebuild is the nature of New York City, but there was definitely a time before the landmarks law when things that would have been saved today were coming down in rapid succession. But there are also the pieces that persist—there’s a marble arch up in Inwood that used to be the entrance to a grand estate that’s now lost. 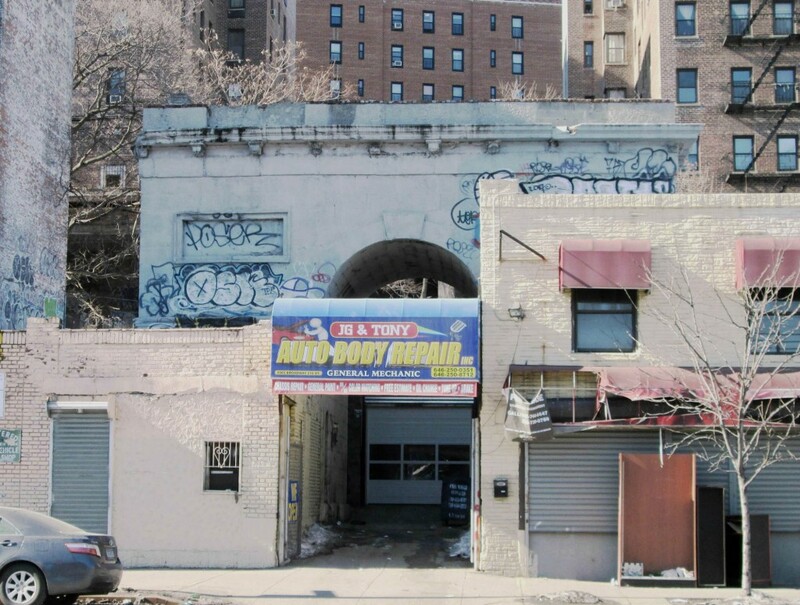 It’s graffitied and sits within an auto repair shop—that incongruity is just quintessential New York. 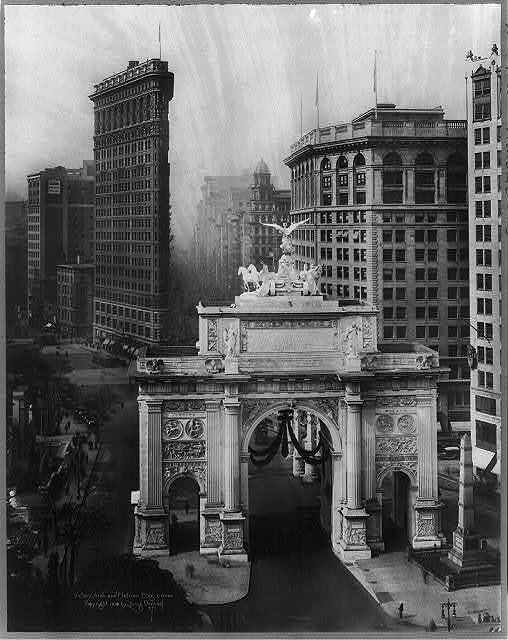 And then there were the 4 temporary monumental arches built in Madison Square over the years—can you imagine residents pooling their money together to build arches made to be torn down? TG: Untapped Cities has expanded from New York to represent over 50 locations around the world. What do you see next for UC? MY: 90+% of our content is still about New York City and our events series is purely based here. We have city correspondents reporting about cities around the world, but writing about urban topics that would be surprising to even jaded New Yorkers. We still feel like there’s plenty of room left here to grow in New York City and still so much left to cover, but if we were to go all-in to another city, I’d bet on Los Angeles. For now, we’re expanding our events series to offer many more events per month and focusing on putting out the quirky yet high-quality, well-researched content we’re known for.